The Student Art Grants Program represents a collaborative initiative of multiple Santa Barbara arts organizations. The program is intending to build bridges between the local arts community and students, simultaneously creating exhibition opportunities, financial compensation and mentorship for young artists while refreshing the local arts scene with up-and-coming perspectives. We are calling for applications from student artists, representing original artwork in concept phase seeking assistance in bringing the idea into being, within three categories: Interactive Art Installations, Performance Art, and 2D Gallery Art. For all categories, applicants are strongly encouraged to propose projects aligned with the theme and values described below. START! Read the eligibility and suggested alignments below and make sure you are eligible. Also review the Submission Guidelines. LEARN, GROW, PLAN! Meet with a mentor from the SB arts community that we pair you up with based on the description of your project in the Statement of Intent. This grant competition is meant to be specifically for “students of art”, and specifically young (18-25 year old is a guideline but not a rigid parameter) student artists. All students enrolled in UCSB, UC City College, or Westmont are automatically eligible for this competition. High School art students are also welcome to apply as long as they are enrolled in a high school within Santa Barbara county. If you are not enrolled in one of these above-mentioned academic institutions, you will be asked a question on your application asking you to justify why you should be considered an art student. We understand there are self-directed and alternative learning paths that are also valid. This is a local initiative meant to uplift local artists. A valid ID demonstrating residence within Santa Barbara County is required. This year’s Student Art Grant theme is: Emotions, Tides, and The Moon. We invite student artists to reflect on the influence of the moon and the forces of gravity on the tides and waters in our bodies and the connection this has to our emotional realities. We encourage applicants to create within the year’s theme, although it is not required. Although the jury will be taking into account thematic alignment, well thought out visions should not be discouraged from being submitted if the concept is not in alignment with the theme. Consider current events and what is happening in the community in 2019, such as the 50th anniversary of the Santa barbara oil spill. We believe it’s important for artists to understand their ‘why’. At the heart of the journey to discover our why, we as artists often look to our values to inform our directions and decisions. We will be looking to reward and recognize artists who find themselves in alignment with the following core values. In your Project Statement please describe how your project is in alignment with these values. We recommend aligning with at least two of these four values, the more the better. Does your project utilize upcycled and recycled materials, or does it speak to relevant social issues, or encourage engagement with one’s own healing journey? We want to hear about it. Please reference the Submission Guidelines as a detailed guide. (*Note: One artist may submit applications in more than one category. In this case each submission will require a seperate application entry). Santa Barbara artists are making a name for themselves within the larger art world by demonstrating a commitment to immersive environments, interactivity, and participation as key components to rich artful experiences. Inspired by Burning Man’s principles of “Participation” and “Immediacy” as well as Lucidity’s core value of “Participation and Immersion in the Artistic Process”, these art pieces require a deeper level of engagement than simply occupying the viewers’ gaze. There is something to do, a riddle to figure out, a process of discovery, or some way that the artwork re-incorporates the energy and actions of the participant into the artistic experience for others. These art pieces blur the boundary between art-maker and art-observer, and allow participants to understand art as an ongoing process and experience rather than a finished product. Traditional three dimensional sculptural works are welcome to apply within this category and these artists are encouraged to find a way to incorporate interactivity into the piece in some way. Competitive applications will have a well developed concept and a feasible plan to create it. Selected winners will install their art piece at a few select art events. Santa Barbara hosts and celebrates a thriving and diverse performance art community. 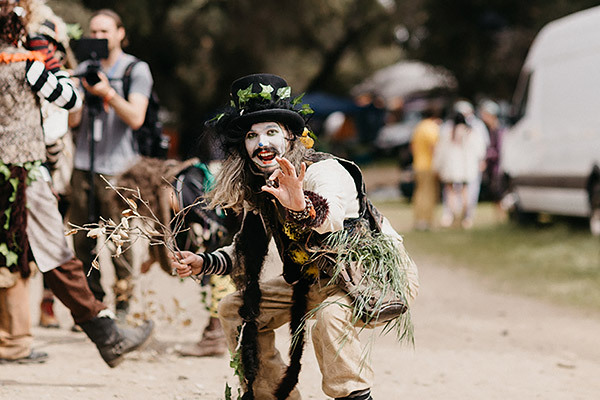 From theatrical groups performing on downtown stages, to renegade fire spinners congregating in backyards and beaches, to aerial artists hanging from trees, to multimedia projection art, to dance troupes igniting the Solstice parade with colorful footwork — there are many genres of performance art alive and well here. Applicants within this category will be in development of a unique performance concept and message and is ready for the catalyst to bring it into the world. All genres of performance are welcome. Selected winners will showcase their performance at 3 local art-focused events in 2019. Paint on canvas, pencil sketching, pastels, charcoal, calligraphy, collage, digital art, and photography are all mediums of expression for the artistic spirit. Applicants within this category will be incubating a creative project within a chosen form and will have a plan for its creation. Thematic and values alignment is particularly important for this category. Selected winners will exhibit their artwork at 3 local art-focused venues in 2019. *All applicants will receive opportunities to connect with a mentor in the Santa Barbara arts scene. 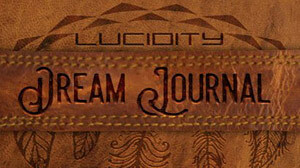 Lucidity is looking forward to reviewing your submissions! Thank you to our founding partners for making this collective dream possible!